Your friends are putting together a screenplay about a city that’s just so overrun with crime that every cop has shades of good and bad, and it’s pretty much impossible for any of them to be totally “on the level.” It’s a dark movie with a lot of gritty themes and rough edges. But it’s enthralling, engaging, and totally immersive. So when they asked you to play one of the lead cop characters, you say, “Yes!” of course. 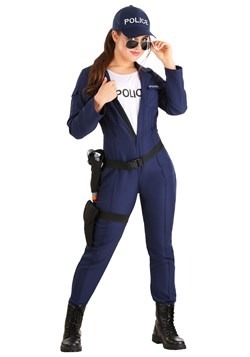 So, suit up in your Plus Size Women’s Dirty Cop Costume and start getting into character. Remember, you need to have shades of good and evil, and we think this costume will be perfect. You want to do good, but the city is just so broken, that you’re forced to occasionally turn a blind eye to bad guys, take a cut of an illegal sale, or occasionally let a crime go unpunished. It’s tough, but it’s all about doing what you can do to get by. Perfectly in line with your character, this complex outfit will let the audience know you’ve seen your fair share of real stuff over the years. The costume consists of a dress that buttons up the front and an attached collar and short sleeves. The skirt hem is lined with ruffles and attached elastic garters come with silver handcuff charms. The police badge is included but is completely removable for those scenes when you need to dramatically toss it off-screen. Finally, a black tie, walkie-talkie, and adjustable hat are all included accessories to make you look as authentic as possible onscreen! The most amazing scene of the movie comes at the end when your character is holding one of the movie’s major bad guys at gunpoint on the top of the roof of a bank. The dialogue is just razor sharp, and this costume is a little worn, and muddy, and…wow is all we can say. You just killed it! We can’t wait to see your name called out at the award ceremony. Make sure to thank us in your speech! 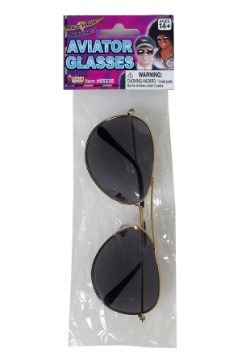 1X/2X - $49.99 Only 1 left!